January 2015 | Florida Law Advisers, P.A. Under Florida divorce law, if you file for a divorce when you own a home the judge will require an “equitable distribution” of the martial assets and liabilities. The court will divide the marital assets and liabilities 50/50 between the couple unless there are factors that would make an equal split inequitable. The first step in equitable distribution for a Florida divorce when you own a home is to classify each asset and debt as either marital or separate property. Only marital property/ debt is subject to equitable distribution by a court; separate property will remain the property of the spouse who owns it. This is typically a straightforward process; however, when it comes to division of the home it can get a little tricky. Therefore, you should seek the advice of a Tampa divorce lawyer for information about how your home may be distributed in a divorce. Generally, most income, assets, and debts obtained during the marriage is marital property. Property that was individually acquired prior to the marriage will be treated as separate property and not subject to an equitable distribution. However, separate property may be classified as marital property under various circumstances, such as listing both parties as an owner, or commingling the separate property with marital assets. See Farrior v. Farrior. Comingling is an important consideration when filing for divorce when you own a home. Generally, when equal access to the separate property is granted to the spouse it may lose its separate identity and become marital property. See Amato v. Amato. Determining whether or not separate property has been commingled with marital property is based on the specific facts of each case. Therefore, it is best to seek the counsel of an experienced Tampa divorce attorney for information based on your specific circumstances. Divorce when you own a home can include property that is held as tenants by the entireties. If the title to the home is held as tenants by the entireties it will be presumed to be a marital asset. This will be true even for property that was acquired prior to the marriage. The party asserting a home held as tenancy by entireties is not marital property will have the burden of overcoming the presumption that it is marital property. On the other hand, real estate acquired prior the marriage that does not include the other spouse on the title will be presumed to be separate property, even if both spouses live in the property. See Abdnour v. Abdnour. In circumstances such as this, the spouse will typically need to show the home was purchased with joint funds to overcome the presumption of separate property. Real estate that is determined to be separate property may still be subject to a partial distribution in a Florida divorce when you own a home. For instance, if marital funds were used to pay down the mortgage balance, the equity gained in the home will be subject to an equitable distribution. See Mitchell v. Mitchell. Additionally, when marital funds or labor are used to improve the property, the increase in value due to such expenditures may be treated as marital property and subject to an equitable distribution. Normally, in a divorce when you own a home and the property is not sold as part of the case, one spouse will be required to make the monthly mortgage payments. However, if the spouse required to make the payments fails to do so both parties may still be liable to the bank for the debt owed. If both parties signed the promissory note for the mortgage, the divorce settlement will not abolish a spouse’s obligation to pay the bank. The bank is not a party to the divorce case and did not consent to any such agreement. Instead, the spouse’s only option will be to seek indemnification from the party required to pay under the divorce settlement agreement. When drafting divorce settlement agreements for a Florida divorce when you own a home, your divorce law firm should pay special attention to any clauses regarding a sale of the property or assumption of the mortgage debt. For instance, in McDonald v. McDonald, the former wife sought to force a sale of the property due to the ex-husband’s failure to pay the mortgage, as required by the settlement agreement. The court denied the ex-wife’s request for a forced sale because the conditions triggering the right to force the sale were not properly drafted in the settlement agreement. If you are contemplating filing for divorce and are concerned about keeping your fair share of the assets call us today to speak with divorce attorney in Tampa. 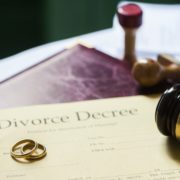 Our divorce lawyers have years of experience helping people with their divorce and child custody disputes. Every divorce is different, and our vast experience allows us to cater our services to each client’s individual situation. Whether a couple mutually agrees to the terms of a divorce or are engaged in a fierce battle for their property and child custody rights, Florida Law Advisers, P.A. can help. We are available 24 hours a day, 7 days a week and offer a free initial consultation. Call us today at 800 990 7763 to speak with a divorce attorney in Tampa. Garnishment occurs when a creditor takes legal action to seize a portion of your wages, bank account, or other assets. In wage garnishment cases, the creditor will contact your employer and have your employer deduct a specified amount of money from your check each week to be forwarded to the creditor. Wage garnishments can be particularly devastating to debtors (borrowers) because the writ of garnishment is continuing. Therefore, a single writ of garnishment can continue to garnish wages until the full amount of the debt is paid. Fortunately, debtors in Florida do have many legal options to prevent or stop a wage garnishment. If you are threatened with a wage garnishment or your wages are already being garnished, contact a Florida wage garnishment attorney in the Tampa Bay area for help. Most creditors will not be permitted to seek a wage garnishment until they have first obtained a judgment (court order) allowing them to collect the debt. 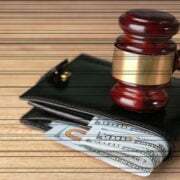 However, unpaid income taxes, court ordered child support, and student loans are the exception to this rule, they will not be required to obtain a judgment prior to seeking garnishment. Creditors will have up to 20 years to collect the funds owed under a judgment. See Florida Statute 55.081. The statute of limitations to collect on a judgment is substantially longer than most other debts. The statute of limitations on most other debts is typically only 5 years. See Florida Statute 95.11. Under Florida Statute 222.11, if you qualify as a head of household you may be legally entitled to stop a wage garnishment. The head of a household is someone who pays at least 50% of the living expenses for a dependent. The term “dependent” in head of household cases is broad and can include many different types of situations, children are not the only type of dependent that will qualify under the law. For instance, dependent may include an aunt, uncle, parent, or even a former spouse receiving alimony. See Killian v. Lawson. If the debtor can prove they qualify as a head of household and their net income is less than $750 per week, the wage garnishment will not be permitted. If the debtor’s net income exceeds $750, the creditor may be permitted to attach the garnishment to the amount that exceeds $750 per week. The debtor seeking head of household protection will have the burden of proving they qualify for the exemption. It is important to note, the head of household exemption does not protect tax refunds from garnishment. Tax refunds are not considered wages, thus are not protected under the head of household statute. Head of household is not the only exemption that can be used to stop a garnishment. For instance, exemptions to garnishments may also include: social security benefits, welfare, workers’ compensation, veterans’ benefits, pensions, life insurance benefits, and disability income benefits. Alternatively, the debtor may be able to file a lawsuit to vacate the judgment. If the judgment is vacated, the previous court order granting the judgment to the creditor will be null and void. Whether or not vacating a judgment will be a successful option depends on the facts and circumstances of each case. If you think you may have legal grounds to vacate a judgment contact a wage garnishment lawyer for assistance. Under Federal law 15 U.S.C. 1673, garnishments may not exceed 25% of a debtor’s disposable income. This protection applies to all debtors, not just those you qualify as head of household. This limit applies to the total amount of garnishments; thus, even if a debtor is facing multiple garnishments, the total garnishment may not exceed 25%. However, the garnishment may exceed 25% of the debtor’s disposable income if the disposable income exceeds 30 times the federal minimum wages per week. In these cases, the garnishment will be limited to the lesser of either 25% of the debtor’s disposable income or 30 times the federal minimum wages per week. When a creditor seeks a garnishment, the clerk of court must send notice to the debtor regarding the garnishment. The notice must inform the debtor of the garnishment and the right to file an exemption. The debtor must file any exemptions to the garnishment within 20 days of receiving the notice. See Florida Statute 77.041. Additionally, the creditor must send the debtor notice of the garnishment, by first class mail within 5 business days of the writ of garnishment being issued. If the debtor timely files a claim of exemption and request for a hearing, the creditor will 14 business days from the date they are served a copy of the exemption by mail to file a sworn written statement that answers the debtor’s claim of exemption. If the claim of exemption and request for hearing is hand delivered the creditor will only have 8 business to respond. If the creditor fails to timely respond to the debtor’s claim of exemption the court will automatically cancel the garnishment, a hearing will not be necessary. If you are threatened with a wage garnishment or your wages are already being garnished contact Florida Law Advisers to schedule a consultation with a Florida Wage Garnishment Attorney. Our initial consultation is free and we offer flexible payment options. At Florida Law Advisers, we take an aggressive approach to stopping wage garnishments. We understand how devastating wage garnishments can be to a family, and we vigorously fight to defend our client’s rights. Call us today to speak with a wage garnishment lawyer, we are available to answer your calls 24/7. Child support is defined as a court-ordered obligation of the financial support for the care, maintenance, training, and education of a child. See Florida child support law 39.01. Child support is the responsibility of every parent, regardless of whether the two parents are married, divorced, or never married. If the two parents cannot agree on how to determine the amount of child support a Florida family law judge will step in and decide the outcome. Florida courts will defer to the Florida Child Support Guidelines when deciding how to determine the amount of child support that will be required from each parent. For information on how to determine the amount of child support under Florida’s Child Support Guidelines contact a family law attorney in Tampa. The Guidelines outline how much child support will be required by each parent based on their net income and the amount of children involved. The amount and duration of the child support payments will vary based on the individual circumcises of each case. This article is a general description of how to determine the amount of child support in Florida, for information about your specific case seek the advice of a family law firm in Tampa. The amount of the payments must be in accordance with Florida child support law and the Florida Child Support Guidelines. The main factors determining the amount of support to be paid are the combined monthly incomes of both parents and the number children they share together. The amount of time each parent spends with the child may also have an impact on the amount of child support required to be paid. Additional factors such as the medical, dental, psychological, and educational needs of the child will also be considered. 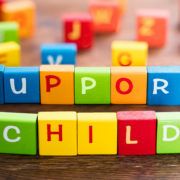 In child support cases involving joint custody (shared parental responsibility), the court will typically apply a four step analysis when deciding how to determine the amount of child support. The first step is to calculate the total amount of child support required by reviewing the Guidelines. Next, the court will determine each parent’s share under the Guidelines. Each parent’s share of the child support is determined by dividing the net monthly of each parent by the combined net monthly of both parents. Next, the court will determine the amount of time each parent has custody of the child in the form of a percentage. For instance, if the parents have 50/50 custody their individual responsibility will each be 50%. The next step in how to determine the amount of child support will be to review the Child Support Guidelines to determine each parent’s share of the support. The court will proportion the total child support award based on the percentage of time each parent has custody of the child. See Jaworski v. Jaworski. Calculating the amount of child support in Florida can be difficult, you should consult a Tampa family law attorney for assistance. If the combined monthly net income exceeds the $10,000 listed in the Guidelines additional calculations will be needed. The amount in excess of $10,000 will be calculated by the applicable percentage based on the number of children and amount of income in excess $10,000. See Florida child support law 61.30. For more information on child support obligations in cases where the net monthly income exceeds $10,000 speak with a family law attorney in Tampa. In most situations, a Florida family law court will follow the Florida Child Support Guidelines when deciding how to determine the amount of child support. However, the court does have discretion to deviate from the guidelines when deciding how to determine the amount of child support. Regardless, any award of child support will need to be reasonable and not require a parent to pay more than he or she can afford. See Marsh v. Marsh. When deciding whether or not to deviate from the Guidelines, the court will consider all relevant factors, including but not limited to: the needs of the child, standard of living, each parent’s age, and the financial status of each parent. See Finley v. Scott. If the Court deviates from the amount prescribed in the Child Support Guidelines by more than 5% a written explanation by the court will be required under Florida family law. Under Florida child support law, parents are not able to waive child support obligations. Parents of a minor child have a legal and moral duty to support and maintain their child. See Martland v. Arabia. However, parents are allowed to stipulate and agree to the amount of child support, so long as the amount is in the best interests of the child. Agreements on child support are subject to approval by a Florida family law court and will only be approved if the agreement provides for the proper care and maintenance of the child. See Wendel v. Wendel. Therefore, if you are interested in reaching an agreement as to the amount of child support you should consult with a child support lawyer before entering into any such agreement. If you are contemplating filing for divorce or need assistance with child support contact Florida Law Advisers, P.A. to speak with a family law attorney in Tampa. The family law attorneys at Florida Law Advisers, P.A. have years of experience helping clients in the Tampa Bay area resolve their child support disputes. Our professional legal team is passionate about these matters and will work diligently to fight for what is fair. Whether a couple mutually agrees to the terms of a divorce or are engaged in a fierce battle for their property and child custody rights Florida Law Advisers can help. Contact us today by phone, email, or online inquiry to schedule a free initial consultation with a Florida family law attorney at our firm. When a court order to pay spousal or child support is violated it can have devastating effects on the party expecting to receive the funds. Often, the party will depend on the funds each month to make ends meet. Fortunately, Florida family law provides many different tools for child support enforcement. 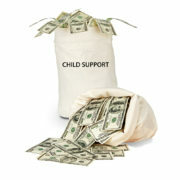 If you are not receiving the child support or alimony a court awarded you contact a family law attorney for assistance. A family law firm in Tampa may be able to assist you by petitioning a court to employ one of the options for enforcement of child support or alimony listed below. Under Florida child support law, a court is authorized to garnish wages as a method of enforcement of child support. A wage garnishment automatically deducts the funds you are entitled to receive from the payor’s paycheck. The court can require the enforcement of child support by garnishment to occur on a periodic basis and continue for as long as the court deems necessary. Further, orders for child support are not susceptible to the head of household defense to garnishments. See Waddell v. Schwarz. Failure to pay child support or alimony can result in a driver’s license suspension as a means of enforcement of child support or alimony. See Florida family law 61.13016. Additionally, under Florida Statute 61.13015, the payor’s professional license can be suspended or denied as a form of enforcement of child support. However, a court can deny the license suspension petition if it would result in irreparable harm to the payor and not help accomplish the objective of collecting payment. Additionally, the court may refuse to suspend a license if the payor demonstrates a good faith effort to reach an agreement with the payee. Failure to comply with a court order requiring payment of spousal or child support can be enforced by either a civil or criminal contempt action. However, civil contempt is used much more frequently than criminal contempt. In order to convict a person of criminal contempt, the evidence must prove the defendant has the ability to pay and the failure to pay is willful and intentional. See Bowen v. Bowen. Further, since it is a criminal action, the prosecution must be in compliance with Rule 3.840 of the Florida Rules of Criminal Procedure. If convicted of criminal contempt for failure to pay court ordered alimony the incarceration must not exceed 180 days. The incarceration is designed to encourage payment of the funds that are due, rather than retributive. Therefore, often a court will purge the contempt if a specified amount is paid by the defendant. On the other hand, the burden for obtaining civil contempt as a means of enforcement of child support only requires proof that there is a prior court order directing the defendant to pay alimony, and the defendant has failed to pay according to the terms of the court order. However, a defendant can defeat a civil contempt action by demonstrating that due to circumstances beyond his/ her control he/ she no longer has the ability to tender the payments required by the court order. For this defense to apply, the defendant must prove the failure to pay is unintentional and due to an intervening circumstance not contemplated at the time the original order requiring support was entered. If a party does not adhere to a court order to pay child support their federal income tax dependent exemption may be allocated to the other parent. See Florida Statute 61.30. Further, the court can order the exemption to be allocated to the payee either on a permanent or rotating basis. The dependent tax exemption can be a substantial amount of money. Therefore, in some cases this can be a significant penalty for failure to comply with a child support order. The payor may have legal defenses which will prevent a Florida family law court from taking action on enforcement of child support. Defenses to payment include but are not limited to: laches, the child has reached the age of majority, and a present inability to pay the amount owed. There may be other defenses available, for advice on a particular case or circumstance contact a family law attorney in Tampa for advice. A skilled family law attorney in Tampa can make a big difference in a case for enforcement of child support or alimony. If you are seeking enforcement of an alimony or child support order, or trying to prevent contempt for failure to pay contact Florida Law Advisers, P.A. to speak with a family law attorney in Tampa, Florida. The family law attorneys at Florida Law Advisers, P.A. have years of experience in both advocating for and against enforcement of alimony and child support orders. With years of experience in family law litigation, we are more than ready to present a compelling case on your behalf and to stand firm for what is fair. If you would like to speak with a divorce lawyer at our firm call us today at 800 990 7763. The U.S. Trustee’s Office recently announced changes to the median income used in the Chapter 7 means test. This is significant since all Chapter 7 petitioners must pass the Chapter 7 means test in order to qualify for Chapter 7 bankruptcy. If an individual does not pass the means test their only bankruptcy option may be to file for either Chapter 13 or Chapter 11. The U.S. Trustee will typically change the median income figures twice a year, the recent changes became effective November 1, 2014. The next adjustment to the median income figures are expected to be announced in April or May of this year. The increase in median income will allow more people to qualify for the means test. If your average income over the most recent 6 months is lower than the state median income for a household of the same size as yours, you automatically pass the means test. Therefore, the higher Florida’s median income is the greater the likelihood you will pass the means test. Conversely, if your median income is above Florida’s median income you will need to continue with the means test to determine your eligibility for Chapter 7 bankruptcy. 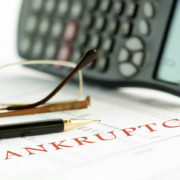 To learn more about the means test contact a bankruptcy law firm in Tampa for assistance. If you are having a difficult time meeting your financial obligations contact Florida Law Advisers, P.A. to speak with a Tampa bankruptcy attorney. Our Tampa bankruptcy attorneys have years of experience helping people just like you solve their financial problems and obtain a fresh start. We understand that these are very difficult times and we are here to help. Florida Law Advisers, P.A., is a customer service oriented firm committed to providing personalized attention and dedicated legal counsel. Call us now at 800 990 7763 to schedule a free consultation with a Tampa bankruptcy lawyer at our firm.